Is a business Internet service really essential? Is it so different to a standard Internet service? And, why is business-grade so important? Take a look at the way your Business uses the Internet and you could be in for a surprise. Naturally, you depend on a reliable Internet service for email and downloading content. But, when you start thinking about what a good Internet connection could deliver, you’ll quickly see the importance of a fast reliable connection. In this post, we will discuss The Importance of Reliable and High-Speed Internet Service for Businesses operating worldwide. Look at the way telephony is going. If you’re still using a legacy fixed line system, you could be missing out on some very important financial and productivity benefits. The latest solutions like VoIP (Voice over Internet Protocol) or Unified Communications rely on an Internet connection to link your phones to the service provider who manages your system. With an ordinary shared Internet the quality and clarity of your voice calls over VoIP is at the mercy of the traffic on your Internet connection. At peak times, or if there’s heavy data traffic on the line, voice quality will suffer. A high-speed, uncontended link is vital. VoIP is just one example of a business service that is based in the cloud. A service provider hosts the infrastructure in a remote data center and delivers the service over the internet. As more and more services and applications are available in the cloud, a business-grade Internet service will become increasingly important. When productivity tools like Microsoft Office 365 and its associated data are only available from the cloud, any disruption to Internet connectivity could have a serious impact on your business. Businesses understand the importance of collaboration with customers and partners or colleagues in different locations, but they want to avoid the time and cost of travel to meetings. As a result, online meetings via Web or video conferencing are increasingly popular, and that means more data-intensive traffic on the Internet. HD video conferencing, for example, requires a high-speed, highly reliable connection to maintain the quality of service. More and more business are recognizing the value of mobile working and flexible working arrangements. If your employees want to work from home or if you’ve got sales and service teams on the road, you need to ensure they can access company data and services. That makes the Internet a key link between employees in the office and the teams outside. With good links, you can also hire contractors and part-time employees who become part of your virtual workforce, wherever they are located. If you have branch offices, you can give them the ability to improve their productivity and efficiency with a business-grade Internet connection. That link can give the branches access to corporate services and applications based at head office. It can simplify communications so they can exchange sales and production data with head office and other branches. And, a fast Internet link can streamline communications throughout the network. A business-grade Internet service is essential to meet the changing patterns of work, but the question is, which type of service. 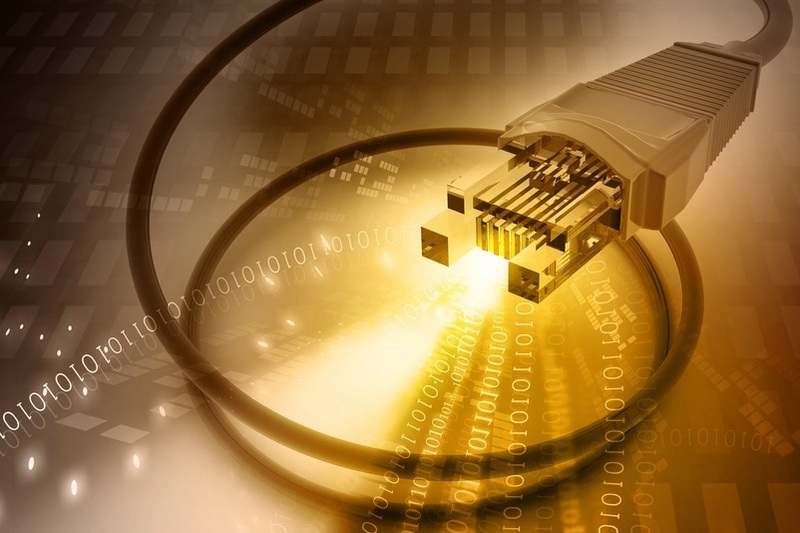 Service providers can offer high-speed services using ADSL or VDSL technologies. These services offer fast download speeds with moderate upload speeds, making them suitable for most normal Internet-based tasks. But, when applications are more critical or need equally fast upload and download speeds, the choice is between T1 and fiber connections. T1 connections offer ultra-fast upload and download speeds, and are suitable for mission-critical applications or connecting multi-location businesses. Fiber connections deliver maximum performance, high security and speeds up to 10Gbps for both uploads and downloads. This level of performance makes fiber Internet suitable for businesses with complex intensive bandwidth requirements or highly secure voice and data services. A business Internet service keeps your business connected without any interruption and connectivity issues. You can also take an advantage of the newest technologies based on cloud computing that drive productivity, efficiency and mobility.